Trauma has grown extensively and is considered a saddle of diseases worldwide. Many countries, like the Kingdom of Bhutan, have inadequate policies on trauma that guides its personnel with the appropriate decisions and management concerning the health care delivery for a specific trauma. A research paper has outlined the need for the creation of improved trauma related metrics in the country of Bhutan and the course of progress of a trauma registry at Jigme Dorji Wangchuck National Referral Hospital in order to meet that specified necessity. Further, it stated that trauma registries are imperative tools that permit health systems to efficiently respond to the various diseases. However, a successful establishment of a trauma registry entails an understanding of the health system and extensive government support. The Royal Government of Bhutan, collaborated with their partners, has established the need for well developed emergency medical services. A solution instigated is the thorough enhancement of trauma related measures in order to improve the structure of information and medical personnel service and capacity. Globally, the modification in the understanding of trauma related situations significantly changed the trend in international policy, funding and implementation of comprehensive trauma care and injury preclusion – especially in the developing countries. Notably, major upgrading was seen with the trauma outcomes resulting to an enormous probability of health system expansion and trauma care development. 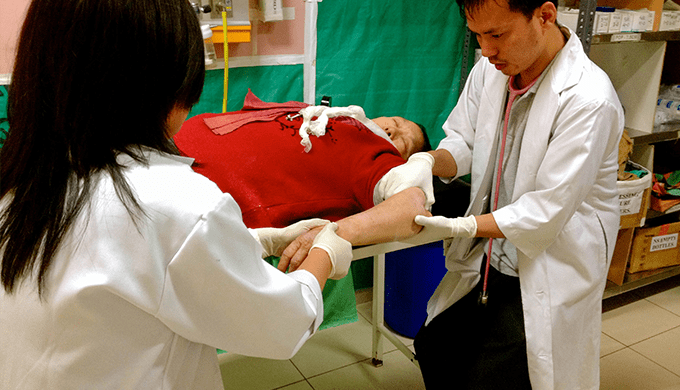 In Bhutan, the injuries and the burden of traumas on the healthcare system has significantly increased. The data on untoward events has increased – taking for example the total number of deaths attributed to injuries and poisoning with cases of 13 in 2004 to 30 in 2008. The numbers show a major increase of 130% and are an actual crisis that is seen worldwide. By understanding the global trends and the possibility of the cases in Bhutan will increase as well, the need for an improved data collection and management may improve the country’s response to trauma and overall emergency care outcomes. The availability of improved trauma registries will provide the government and other concerned institutions with data that is needed on their decision making and governance. In fact, according to Moore & Clark (2008), trauma registries permit the stratification of injury data to assist policymakers in identifying high-risk populations, locations, personal actions, and infrastructure defects. In policy making of low and middle income countries, for example, the data on trauma supply sustenance for the organization of other data collection tools. As an illustration, drunk-driving regulations are positive pattern of valuable policy revolution and injury diminution. The Ministry of Health of Thailand has utilized statistics on alcohol, helmet use and speeding in order to endorse helpful legislations. The details from the statistics may be used in order to change the policies concerning the use of alcohol, including the period of alcohol sales and penalties for drunk driving. The study found out that there have been early attempts, made by the Kingdom of Bhutan in order to confront the unmet needs of its citizens and the aspiration of the government to improve health outcomes concerning trauma and emergency care. Further, it has stated that many of the challenges that face Bhutan’s purpose for improving emergency medical care are similar to those found in other resource poor settings. It includes the economic and logistical problems, insufficiency of trained health care personnel and inadequate instruction chances, and complications in prioritizing interventions and health care structure and investment.